Holiday Shopping is fraught with many perils for ecommerce business owners worldwide. Online businesses who utilize Pinpoint Intelligence's newly launched fraud detection and mitigation service, Complete Pay, see a significant decrease in online credit card fraud. Pinpoint Intelligence, LLC is pleased to announce the full launch of their fraud detection and mitigation service, Complete Pay, in time for the Holiday Season. Businesses who have been participating in their Beta test are already reaping the benefits by seeing an immediate decrease in credit card fraud. With this announcement the Complete Pay solution is now available for all card-not-present merchants worldwide. Adobe recently reported that consumers spent $4.45 billion online during Thanksgiving and Black Friday. With an extreme number of online traffic and transactions occurring in a short period of time, online merchants need to be on the lookout for fraudulent purchases. A 2013 survey from the Ponemon Institute and RSA noted that nearly two-thirds of organizations report a significant increase in fraudulent online purchases and attack activity during the congested holiday online shopping time. Considering these high statistics and increasing cases of corrupt online purchases, Pinpoint Intelligence urges merchants to implement an online fraud mitigation solution. Pinpoint Intelligence, headquartered in Miami Beach, is the provider of Complete Pay, a fraud mitigation service that determines the level of risk associated with each online transaction your business receives. This service assists in determining consumer and affiliate fraud situations, reduces chargebacks and provides the merchant with the opportunity to run a more profitable online business. While online fraud experiences a drastic spike during the holiday season, the threat is prevalent all year long. Aside from the immediate financial loss, online merchants lose precious time, resources, operations processes, labor hours, and consumer trust. These fraudulent charges result in chargebacks for the merchant, which, if left untouched, can result in extreme fines, penalties, and even the loss of a merchant account. Enrique Marcos, CFO of Tuguu, an online video streaming organization with a global presence stated that Pinpoint Intelligence has "helped me cut chargebacks and fraud losses drastically. Our numbers have seen a fantastic boost in the overall quality of orders since working with the Pinpoint team. We've been able to quickly identify fraud and cut our chargebacks by more than 50 percent". 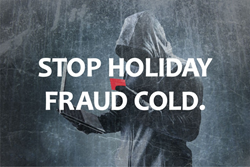 Pinpoint Intelligence encourages online merchants to take a proactive approach to online fraud before winter holiday shopping gets underway. If left alone, online fraud has extreme consequences for businesses who conduct transactions through the Internet. Fraud mitigation services and offerings such as Complete Pay are the ideal solution for combating online fraud and eliminating instances of chargebacks and financial loss. Complete Pay users have access to hundreds of rules and filters to customize their software. As soon as you order Complete Pay, it starts working to prevent online fraud for your eCommerce business. The streamlined, intuitive user interface is easy to learn and customize, and Pinpoint Intelligence works side-by-side with its customers to ensure a positive experience. In addition, this innovative technology assists in helping fight chargebacks on the back-end of transactions and provides timely alerts when fraudulent activity is detected. Pinpoint Intelligence believes that preventive measures are far more effective than disaster recovery strategies. If you prevent online fraud, you don't have to worry about losing access to your merchant account or leaving money on the table. When employing Complete Pay's fraud mitigation services, Pinpoint Intelligence co-founder Nicholas Ruggieri notes, "Online business owners and merchants experience a sense of security and confidence going into the hectic shopping seasons typically riddled with fraudulent purchases." About Pinpoint Intelligence - Founded in 2013, Pinpoint Intelligence specializes in reducing overall fraud and chargeback risk, offering the very best services and solutions to help merchants maximize revenue and maintain a healthy bottom line in the card-not-present space. With locations in both New York and Florida, Pinpoint is trusted by hundreds of online businesses looking to successfully manage their chargebacks and put an end – once and for all – to credit card fraud.